Health experts have warned about the problems stemming from being submerged in chlorine. While we wait for the cool winter months to pass, your kids are probably yearning for summer and the hours they can spend in the pool. However, health experts have warned about the problems stemming from being submerged in chlorine. Chemical analyst and forensic toxicologist Dr Nitin Seetohul, of Nottingham Trent University, explains to MailOnline that chlorine is beneficial when destroying water-borne bacteria and has been linked to wiping out illnesses such as typhoid and cholera in more developed countries. At low levels in drinking water (the recommended content it one part of a million) it is helpful, but when adding two to five parts in order to keep swimming pool water clean, the trouble begins. Chlorine was linked to children's asthma in a 2008 Belgian study published in the European Respiratory Journal. The research found that kids who swam once a week in a pool were more likely to be asthmatic than those who had never taken a dip in a chlorinated pool. Youngsters are believed to be more at risk due to splashing about and ingesting more water. They're also more likely to spend longer in a pool than adults. "Although more research is needed, it is thought that chlorine and its by-products, when inhaled or swallowed, can attack the cellular barriers in the lungs that protect them from allergens," Dr Andrew Wright, professor of dermatology at the University of Bradford, said. Chlorine has shown other worrying results, with Dr Wright revealing that last month alone 33 people visiting the Wild Duck Holiday Park near Great Yarmouth in England were admitted to hospital after accidental chlorine overdose. This resulted in vomiting, struggling to breathe and eyes streaming. 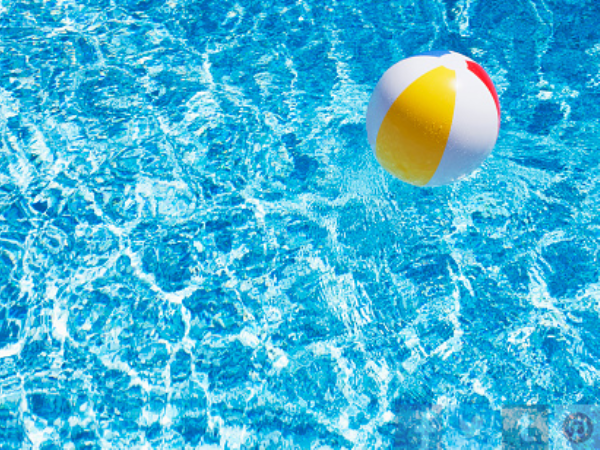 Dr Wright believes other methods of keeping pools clean should be taken up, such as ozone filtration. This is when oxygen in the form of ozone gas is pumped through the water before it's filtered. "It’s these toxic by-products [chloramines] that give off that tell-tale 'bleach' smell we associate with swimming pools and cause problems," Dr Wright noted, adding that when the by-products are combined with debris found in pools, like skin particles and body oils, problems can occur. He recommends washing chlorine out as soon as you exit the pool to lower chances of health problems.